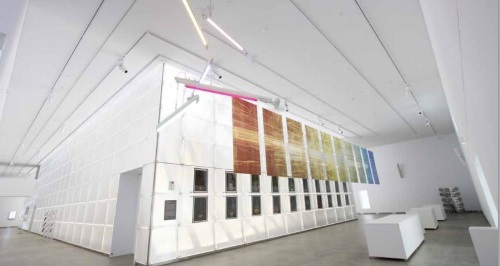 Located in the heart of the south-east Melbourne innovation precinct of Clayton, and adjacent to Monash University, the National Centre for Synchrotron Science (NCSS) offers a truly unique event space for your corporate event. 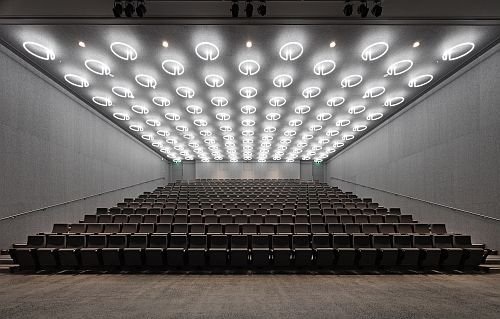 Designed by award-winning architects Bates Smart, this contemporary building was designed to reflect the light-based research activities at the adjacent Australian Synchrotron. We offer a 333-seat lecture theatre, a seminar room, and a flexible catering and exhibition space; all air-conditioned and wheelchair accessible. Auditorium Capacity: 333 (tiered seats). The Oliphant Auditorium is perfectly suited to lecture-style presentations, conferences, and industry speaker events. It is equipped with a lecturn, microphones and integrated audio-visual capabilities. Exhibition Space seating capacity: buffet/banquet 100, cabaret 80, cocktail 400. This function space comes complementary with any booking of the Oliphant Auditorium, and is perfectly suited for refreshments and canapes during your event. This space can also be used for post-event networking and exhibitions such as poster sessions. On display are contemporary artworks exploring the relationship between science, art and light by resident artist Chris Henschke, and the Illuminations portrait series by Andrew Baird. A total exhibition space of 715 square metres is offered, arranged over four interconnected galleries. Capacity: Optimum 40 (max 48). 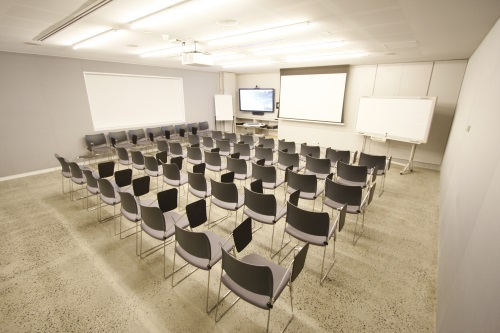 The Seminar Room, a versatile space, can be set up to accommodate a vast array of events; from boardroom meetings to classroom-style presentations, workshops, training sessions, and video conferences. It is equipped with audio-visual and video conferencing capabilities, flipchart easel and electric whiteboard for your convenience. Guesthouse accommodation is available for guests attending events occurring over multiple days at Australian Synchrotron, particularly those attending from interstate or overseas. Communal lounge and kitchen areas. Situated in a leafy corner of the Australian Synchrotron grounds, our guesthouse offers convenient, modern onsite accommodation. Rates and availability are provided on request. Click here for further Guesthouse details. Peter Rowland is the exclusive caterer of the NCSS. Casual dining is available at The Kitchen Synch Café, with 50 seats indoor and 30 seats in a shaded alfresco area. The Australian Synchrotron is pleased to make the NCSS available for your use. Please note that we are not equipped as a full-service event management facility and as such, clients are required to self-manage their event, including all bump-in and bump-out processes, and event-day needs such as welcome and registration. Event hire includes set-up of hired items such as trestle tables and audio-visual equipment. A full catering service is offered by Peter Rowland.